Mykolay was formerly a tractor driver, and Maria a veterinarian, as part of the kolkhoz in the village of Rusanivtsi. 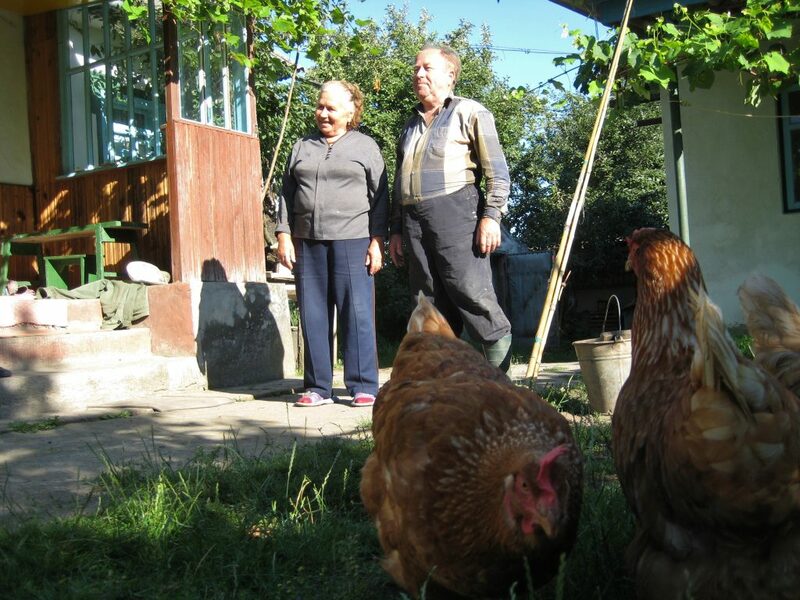 Today, they are self-sufficient subsistence farmers, keeping two cows, geese, and chickens. In the photo, they are shown returning home with hay, which they had mown from abandoned farmlands (Letichiv district, Khmelnytsk region, Ukraine. Photo by N. Mamonova). Prevalence of large farming entities, also known as agroholdings, in the agricultural sector of post-socialist economies raises a lot of public concerns with respect to their effects on the society. Mass media often point to the threats that the large-scale agriculture carries for welfare of rural inhabitants, inclusiveness of land and agricultural markets and even democratic deliberation of public policies. Whereas some of these issues have been discussed in the first and second parts of our interview with Dr. Natalia Mamonova, Research Fellow at the Russia and Eurasia Programme, Swedish Institute of International Affairs (UI), today she explicitly addresses the role of agroholdings in sustainable development in the contexts of Russia and Ukraine. 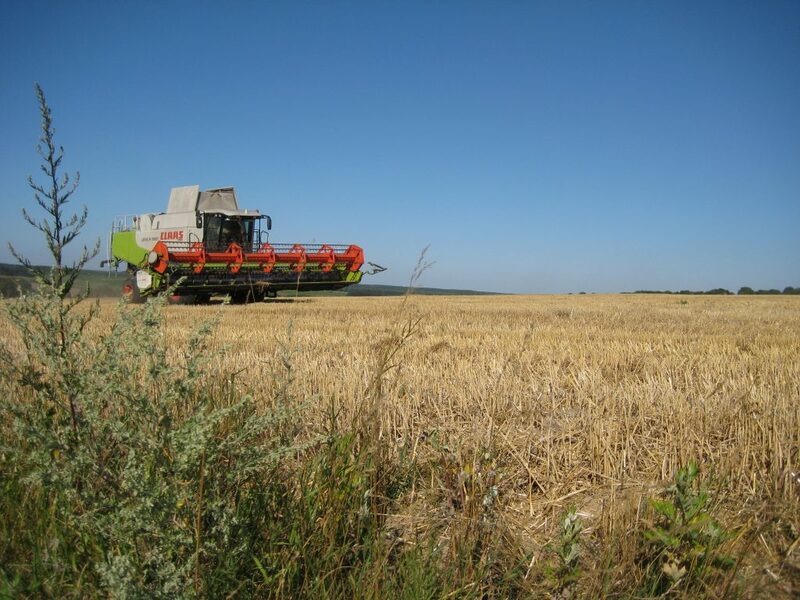 What is the impact of large-scale farming on sustainable development in Russia and Ukraine? Natalia Mamonova: The large-scale agriculture has positive and negative effects. Among positive effects, I would like to mention the following: bringing farmland back into production, improvement of rural infrastructure, and rural poverty reduction. After the collapse of the Soviet Union, the reorganized kolkhozes and sovkhozes faced severe financial difficulties, which resulted in their bankruptcy and the abandonment of collective farmlands. This in turn induced a rapid growth of rural unemployment, a drastic decline in the livelihood conditions and living standards of many rural families. One of the modern combine harvesters at the JSC kolkhoz ‘Named after Lenin’. 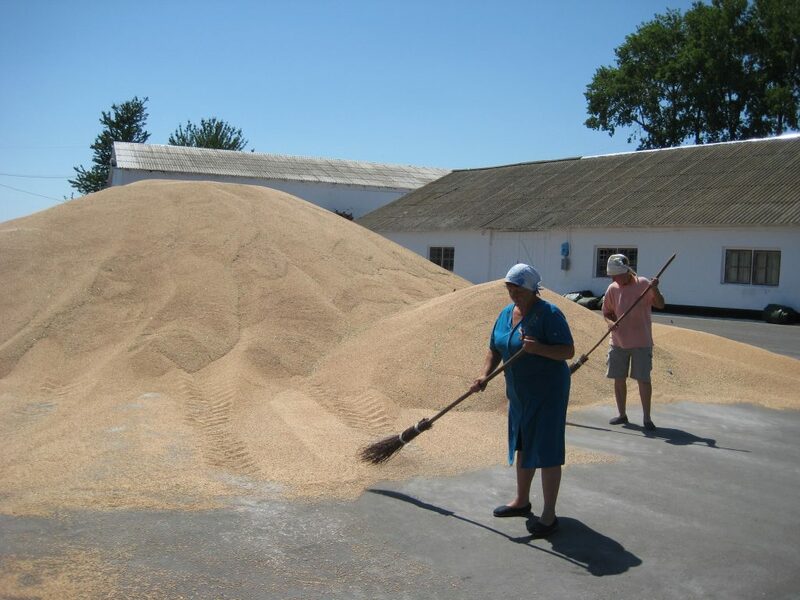 In total, the kolkhoz has 48,000 ha, including 24,000 ha of arable land and 14,000 ha of grassland. It employs 370 people (village Arzgir, Stavropol Krai, Russia. Photos by N. Mamonova). The arrival of the large agricultural business in the early 2000s has restored the abandoned (often uncultivated) farmland and improved financial performance of the agricultural sector. As a result of overall economic recovery and the inflow of private and state money in the countryside, the share of rural households below the subsistence level decreased from 74.2 % in 2000 to 20.3 % in 2010 in Ukraine and from 73.1 % in 1999 to 15.4 % in 2006 in Russia. However, there are a number of negative effects. In one of my studies, I argue that large-scale agricultural companies pursue the so-called ‘control grabbing’. Their activities do not directly lead to the dispossession of smallholders from their land, but imply gaining corporate control over the land and associated resources, state subsidies, and agricultural value chain. In such circumstances, rural households are unable to develop beyond the subsistence-oriented production and to become commercial family farmers. In my research, I demonstrated that large farms control nearly 80 % of Russian and Ukrainian farmland, monopolized the agricultural value chain for staple crops and processed food, and accumulated nearly all state subsidies for agriculture. The control grabbing is commonly practiced by the so-called agroholdings (i.e. vertically and horizontally integrated groups of affiliated and associated agroenterprises), which became the dominant characteristic of contemporary large-scale agricultural development in Russia and Ukraine. Agroholdings often combine agricultural production enterprises with other upstream and downstream firms in the agri-food chain, such as producers of concentrated fodder, elevators, processing units and wholesalers. It is important to note that domestic agroholdings are those who primarily conduct control grabbing in the food chain. Foreign agroholdings generally are less integrated vertically, and focus mainly on the agricultural production (and control related storage facilities as a light form of vertical integration). 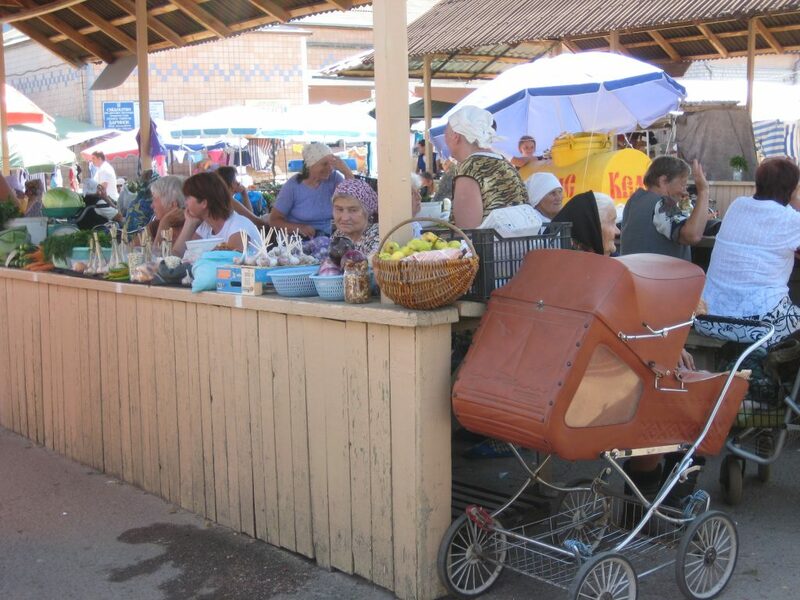 An official food market in Pereiaslav-Khmelnytskyi, where rural dwellers sell their products. They have to pay for a spot and, if necessary, for veterinary-sanitary tests (Kiev region, Ukraine. Photo by N. Mamonova). Furthermore, the unemployment rates remain quite high in the post-Soviet countryside. As I have said, the control grabbing prevents the development of small-scale agricultural entrepreneurship in the countryside. Meanwhile, large agribusiness applies economies of scale and labor saving technologies. Therefore, it does not provide enough jobs to employ rural population, as it was practiced in the Soviet time. And finally, the development of industrial agriculture has negative impact on the environment. The productivity of large-scale agribusiness is largely achieved through use of chemical fertilizers, pesticides, and industrial machinery, which negatively impact the quality of soil, water and biodiversity. Besides that, industrial agriculture contributes significantly to global warming, representing a large majority of total agriculture-related greenhouse gas emissions. Mikhail is a tractor driver at the JSC kolkhoz ‘Named after Lenin’. He used to work at the same kolkhoz before the collapse of the Soviet Union. In the early 1990s, when the kolkhoz experienced severe difficulties, he was dismissed on grounds of redundancy. After that, he was jobless for a while, and then worked as a long-distance truck driver. He was happy to be hired again at the kolkhoz in the early 2000s. (village Arzgir, Stavropol Krai, Russia. Photo by N. Mamonova). Do you think that large farms will continue to get larger? Natalia Mamonova Yes, I think, large farms will continue to get larger. 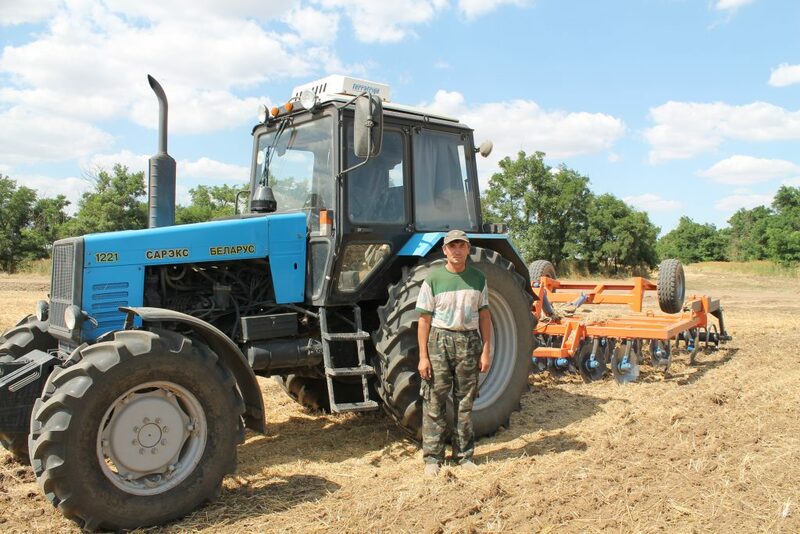 The governments of Russia and Ukraine have been supporting large-scale agricultural development despite their promises to help small- and medium-scale farmers. For example, many Russian officials argued that the embargo imposed by Russia on European food imports (in retaliation for Western sanctions against Russia over the crisis in Ukraine) should stimulate domestic food production, especially individual farming. However, the 30 % increase in domestic agricultural production during the last several years was achieved due to colossal state subsidies given to large agribusinesses. Meanwhile, the amount of family farmers has decreased by 1.6 times: from 285,000 farm units in 2006 to 174,400 in 2016 in Russia. 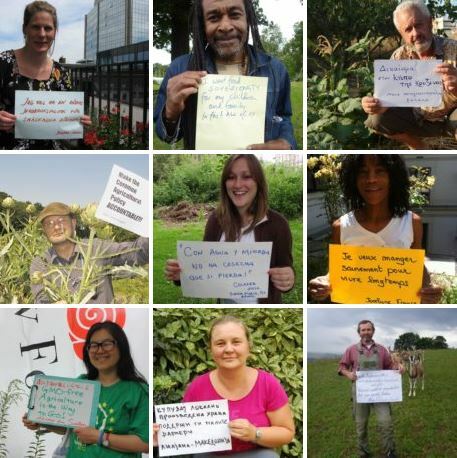 What role will small farms play in the future? Natalia Mamonova I do not share the pessimistic views that smallholder farming will gradually disappear in the post-Soviet countryside. 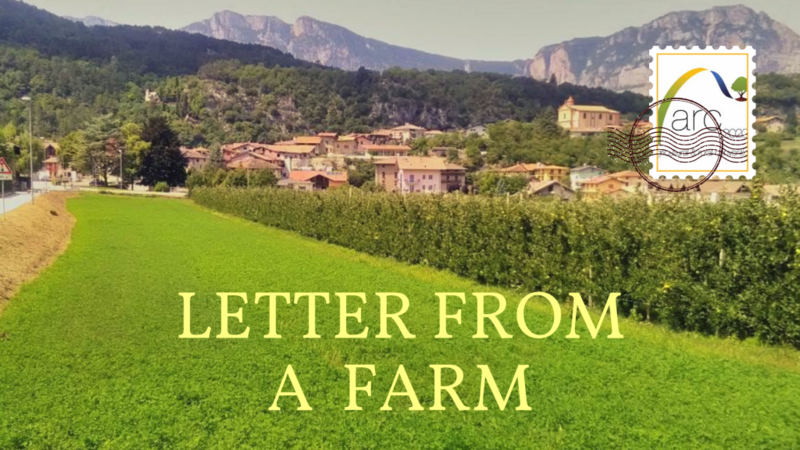 Some experts argue that ‘personal subsidiary farming’ is backward and inefficient and will be soon displaced by the supposedly modern and efficient large-scale agriculture. I disagree. Small-scale farming has a huge socio-ecological resilience potential and it is as a safety net for millions of people. Moreover, in my study, I prove that post-Soviet household farming is actually resource-efficient, highly productive, and entails social, economic, and ecological benefits for the population as a whole. Ludmila is watching her 5 cows returning home after grazing. 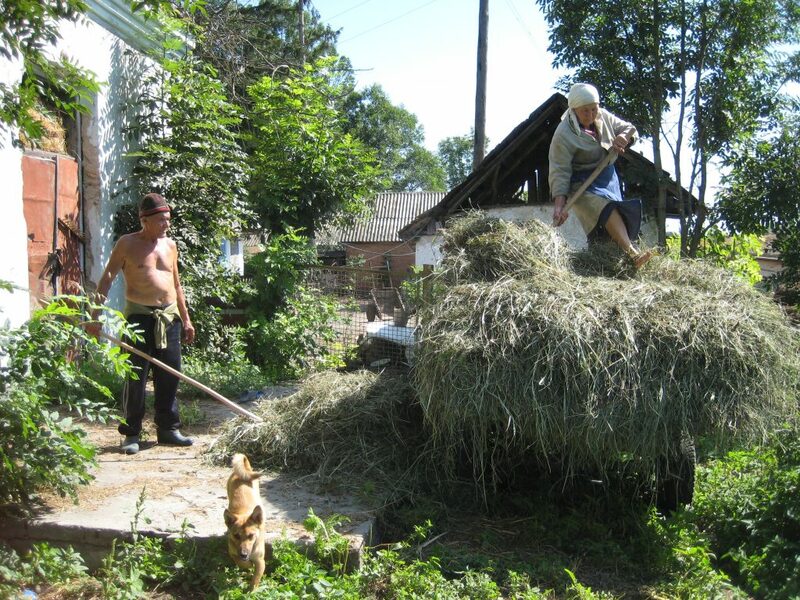 17 households in the Krasnoye village keep livestock (approx. 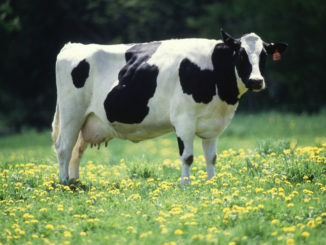 2-4 cows per household, 66 cows in total). They jointly organise the grazing: based on a rotation principle, every household provides a herder with a horse for a week to take the herd to pasture. (village Krasnoye, Grachyovsk district, Stavropol Krai, Russia. Photo by N. Mamonova). Furthermore, there is a growing demand for organic farm products among Russian and Ukrainian population, which could be met by smallholders. 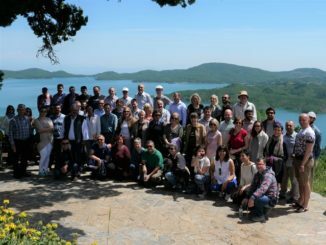 Recently, international organizations – such as Organic World and the Research Institute of Organic Agriculture (FiBL) – launched several campaigns for the development of organic farming in Ukraine. They argued that the country could become the largest organic food supplier to the European market, having 300,000 ha of land that can be certified under the EU Organic Farming standards. In my recent study on Ukraine, I revealed that the prospects of Euro-integration generated a discourse on ecological, economic and health benefits of smallholders’ production that, supposedly, would be popular on the European market as an equivalent to organic farming. Therefore, I think, small-scale farming will persist and develop in parallel to large-scale industrial agriculture. 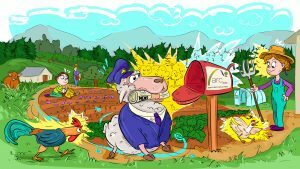 A version of this article first appeared in Large Scale Agriculture where other interesting articles on similar topics by Natalia Mamonova can be found. Natalia Mamonova is a researcher at the Russia and Eurasia Programme of the Swedish Institute of International Affairs in Stockholm and the coordinator of the European branch of the Emancipatory Rural Politics Initiative (ERPI Europe). She did her PhD at the Institute of Social Studies of Erasmus University, the Netherlands. Her dissertation was about rural politics in contemporary Russia and Ukraine. Two of her single-authored articles ('Resistance or adaptation? 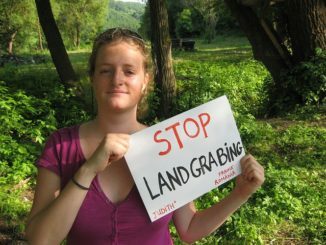 Ukrainian peasants' responses to land grabbing' and 'Naive Monarchism and Rural Resistance in Contemporary Russia') received 'The Best Article' awards from Erasmus University in 2016 and 2017, respectively. 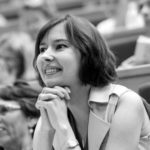 After completing her PhD, Natalia was a visiting researcher at the University of Oxford, the 'New Europe College' in Bucharest, and Helsinki University. Bhutan | Spearheading a Transition to Organics?